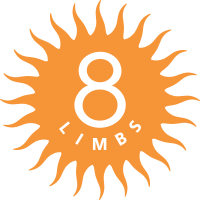 Starting January 1, 2017, 8 Limbs will launch #8limbsnewclass, what we hope will be a way to incentivize our community to try something new – a new class or teacher – and share what you find with the rest of us. Choose a drop-in class you haven’t been to before, or take a class from a teacher new to you. Yes, that could be taking your regular class with a sub, or a new class with a teacher you’ve gone to for years. Post on Instagram and any other social media networks you use. At the end of the month we’ll pick a winner from all the qualifying entries. * respect your fellow students and only use your device for taking a photo, please no posting in yoga spaces!